Climate Convergence is a grassroots network of climate justice organizations and activists (Indigenous, Labour, Student, NGO and Communities of Faith). We are mobilizing to stop climate change and protect our air, land, and water from toxic pollution by corporations in the fossil fuel industry. We support a green transition to a 100% fossil fuel free economy on a time line determined by the best available science. This transition must be based on principals of justice that prioritize human need over the profits of energy companies. A just transition can only be achieved through a united movement of all those directly affected by climate change and pollution from fossil fuels. We support the immediate implementation of the United Nations Declaration on the Rights of Indigenous People and adherence to the principal of Free, Prior and Informed Consent for all projects on First Nations territory. We support the right of local communities to deny permission for fossil fuel projects that threaten their economy, health and environment. We support a just transition for workers in the fossil fuel industry, paid for by fossil fuel companies, that retrains them and provides them with good jobs in building a green economy. 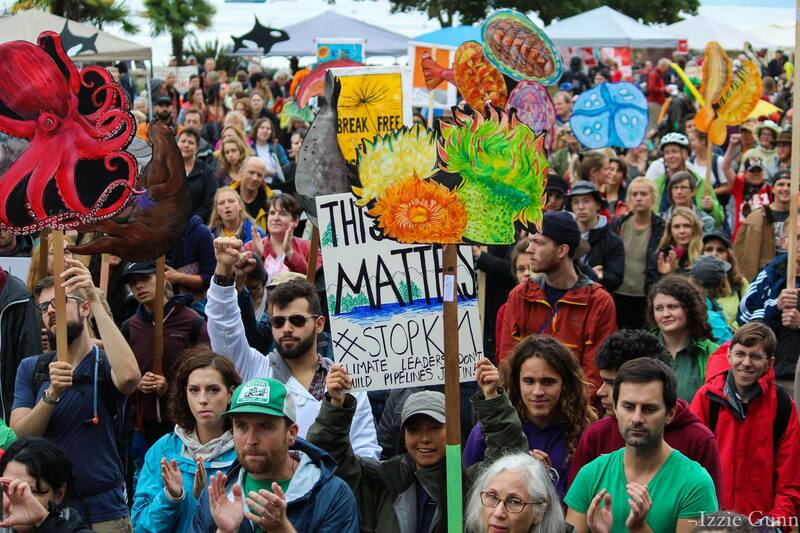 We build grass roots mass mobilizations in support of campaigns to stop fossil fuel projects and for socially just green alternatives that create jobs and address the climate crisis. Our monthly meetings provide a hub for the diverse strands of the climate justice movement to come together to discuss strategy, organize, mobilize and coordinate efforts for maximum effect.